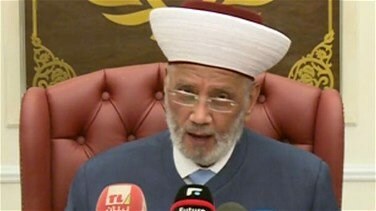 Mufti of the Republic Sheikh Abdel Latif Darian said on Monday that Lebanon is in a major crisis, not because of the Cabinet formation, but due to the deteriorating economic, financial and social situation and the political divisions. “Things need solidarity, exchanging point of views in a good will, having a sane awareness of national problems, and a sincere will to find solutions to them,” he added. “I hail Prime Minister-designate Saad Hariri because he is not partaking in the words spat over the Cabinet formation,” he concluded by saying.